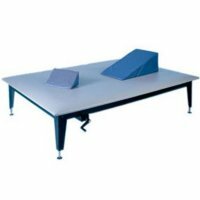 Platforms - Stand In / Mat Table - Stationary / Adjustable designed and engineered to safely assist patients and provide superior clinical performances. 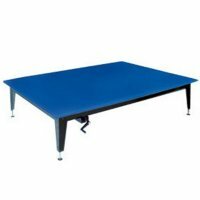 Our platforms are available in a variety of options offering an array of different styles and convenient features ranging in color, size, weight capacity, stationary and different modes of height adjustment ability. Stationary Mat Platforms 18-inch height is convenient for therapist and wheelchair accessible for patients, while our adjustable Mat Platforms come equipped with either Dual Lift Powermatic "Hands-Free" foot control power height adjustment or a durable, super-strength Crank Hydraulic system. 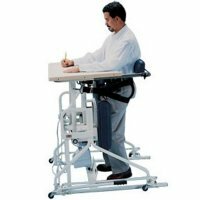 Hi-Lo Stand-In Table with Electric Patient Lift can power lift a patient that weighs up to 400 lbs. 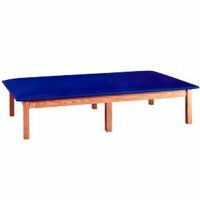 from a sitting to standing position. 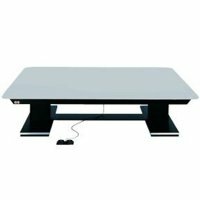 The Stand-In Table with Adjustable Platform is designed to promote vertical weight bearing activities. 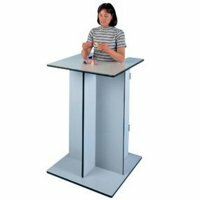 Our quality Platforms - Stand In / Mat Table - Stationary / Adjustable, are sure to fit your patient, clinic or hospital needs.